We live in an era of massive public marches and standing-room-only town hall meetings. People today expect opportunities to actively engage with the legislators who govern them and the companies they do business with. Change.org, the global hub for collective action, is a crucial democratizing force in this era of growing civic participation. It helps enable a world where you don't need to hire a lobbyist to have real impact on the issues and policies that matter to you. 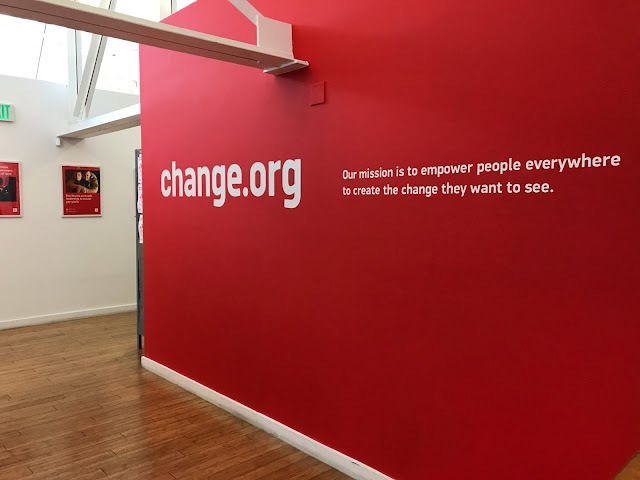 Change.org is accessible, it's transparent, and it's flexible enough to help people collectively pursue everything from lower monthly banking fees to better criminal justice system policies for sexual assault survivors. In fact, I believe in Change.org's mission so strongly that I'm leading its latest funding round of more than $30 million, with the largest personal impact investment I’ve made to date.